Wells Fargo has agreed today to meet with Standing Rock elders about the bank’s funding of the Dakota Access Pipeline (DAPL). It was a victory for non-violent protesting. 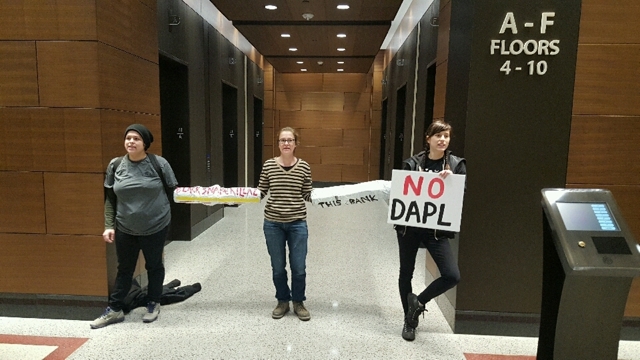 The decision followed a four-hour “lock-down” at Wells Fargo’s downtown Minneapolis headquarters, sparked non-Native allies opposed to DAPL. 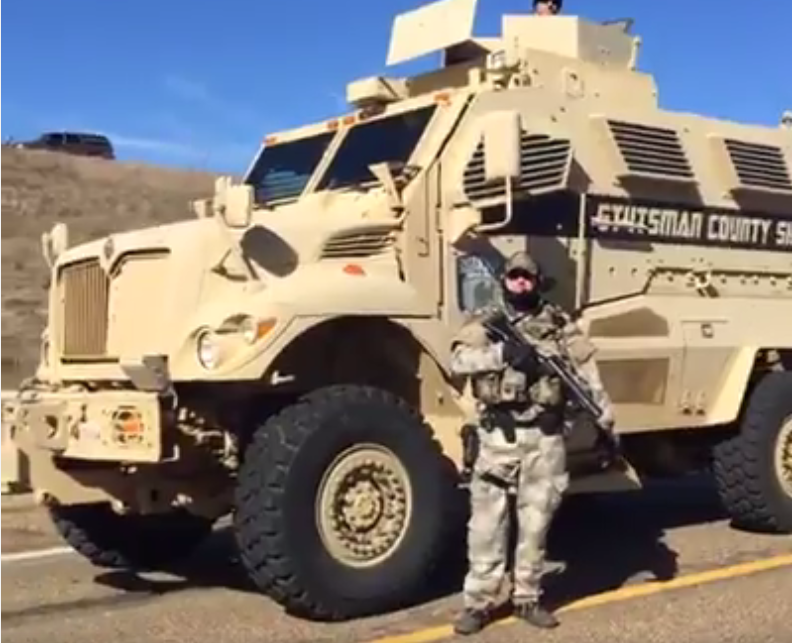 Thanks to Unicorn Riot for providing a live feed of the event. (It is still on line and available for viewing.) It was not clear from what I saw what group (if any) was leading the protest. Six people had locked themselves together in two groups of three. Tubes connected their arm to form a chain to keep people from accessing elevators. A number of other people were in the building’s lobby providing moral support and communications.